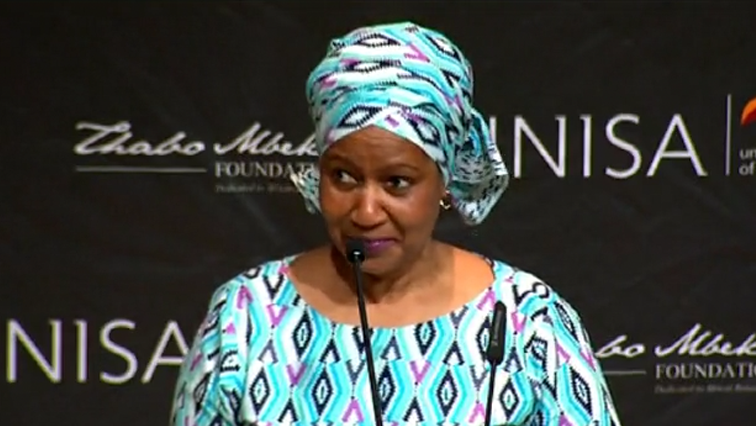 Men should be gender activists to fight patriarchy: Mlambo-Ngcuka - SABC News - Breaking news, special reports, world, business, sport coverage of all South African current events. Africa's news leader. The only way to bring an end to patriarchy is mobilise men who will become gender activists, this according to Executive Director of UN Women, Doctor Phumzile Mlambo-Ngcuka. Speaking during the Thabo Mbeki Foundation ninth annual Africa Day lecture at the University of South Africa (UNISA) in Pretoria, Mlambo-Ngcuka stressed that it is important that more men become gender activists. This entry was posted on 25 May 2018,08:53PM at 8:53 PM and is filed under Africa, Homepage Featured Story Slider. You can follow any responses to this entry through the RSS 2.0 feed. Both comments and pings are currently closed.